satisfaction guarantee, if you are not 100% satisfied with your item contact the seller within 30 days of purchase for a full refund and free return. Trust Me I’m A Medical Student T-Shirt. 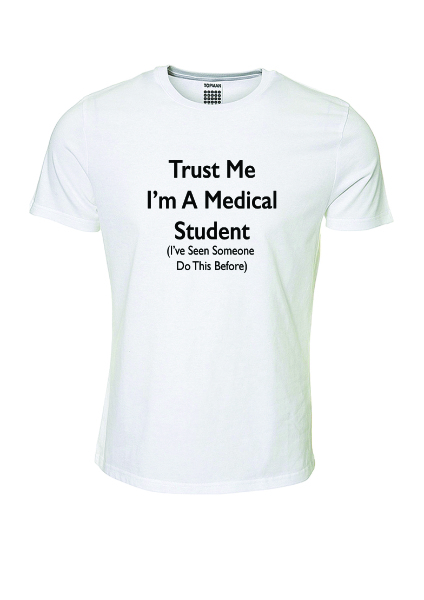 The Medinc Trust Me I’m A Medical Student T-Shirt is a 100% cotton T-shirt. This medical student gift has our medical student joke printed on the front. Trust Me I’m A Medical Student (I’ve seen someone do this before). The Trust Me I’m A Medical Student T-Shirt is machine washable. Available in small, medium and large. The Trust Me I’m A Medical Student T-Shirt has many uses. It can be worn inside the house and outside of the house. Please see warning below. 1 x White T-Shirt, in the size ordered. 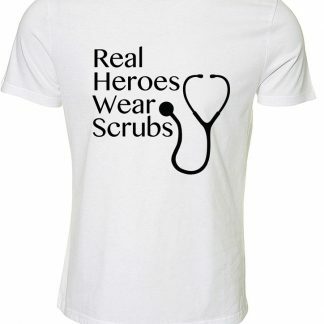 The T-Shirt will have the Trust Me I’m A Medical Student t-shirt image shown in the picture printed on the front. The text in that image reads:Trust Me I’m A Medical Student (I’ve seen someone do this before). 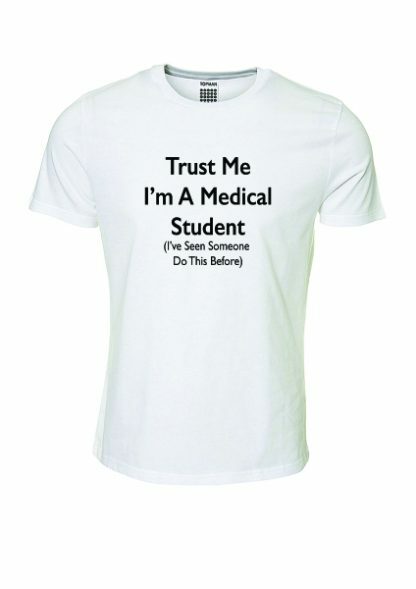 The Trust Me I’m A Medical Student T-Shirt is not a medical device and should not be used in medical situations. Medinc cannot be held responsible for any accidents caused during emergency situations. 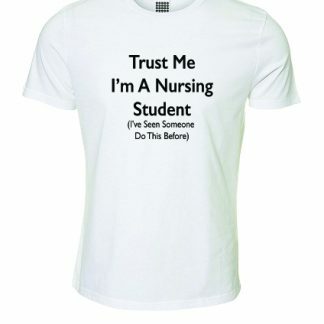 Medinc does not advise wearing the Trust Me I’m A Medical Student T-Shirt when on placement. The Trust Me I’m A Medical Student T-Shirt is a medical gift novelty themed product and not intended for professional use. This T-Shirt is not ID and may not get you student discount. Worried about ring marks on your table? Why not consider our Coasters. 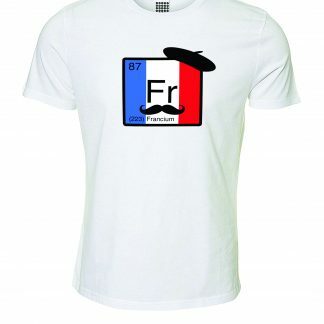 Looking for more Science T-Shirts? Maybe you think a science mug would be more suitable?